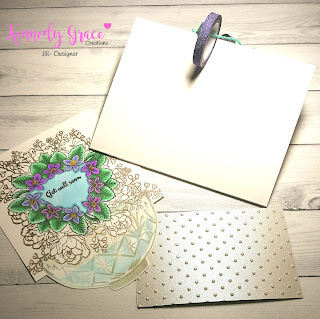 Welcome back to my blog friends and fellow crafters!! 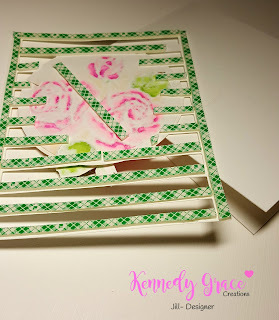 We had a "sneak peak" of spring a couple weeks ago in Montana and it inspired me to make this card for The 7 Kids Craft Supply Store, as my second creation in February as a Guest Designer and entrance card in their current Rainbow challenge. I know, you say where is the rainbow??? Well, she's looking at it! 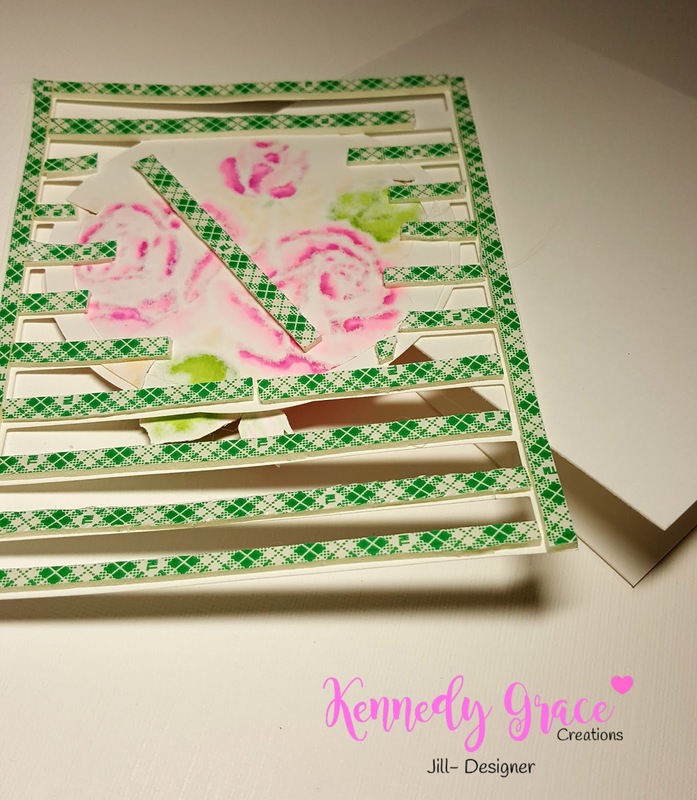 I love doing this for Kelly, the owner, as she is so great to work with and she's brought so many fun products to the store to work with. I was not familiar with Santoro Gorjuss Girls before I shopped at Kelly's store. Boy was I missing out! This is my first completed card using a Gorjuss girl as my main image. I have since bought more because they are great stamps AND they have matching dies as well. I don't have the dies yet, so I fussy cut my pretty girl! 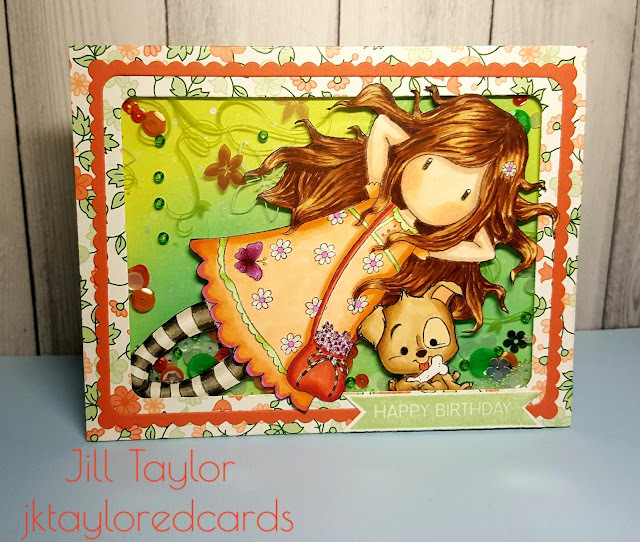 Since she is laying on the ground in Springtime, presumably, I decided to make a shaker card with Distress Oxide inks on the background paper (in light yellow/greens and green with subtle DIY shimmer spatters) that matched the paper I was using on the frame of the card and my girl's dress. I used a mixture of sequins, some of which were flower shaped to denote laying amongst the flowers. 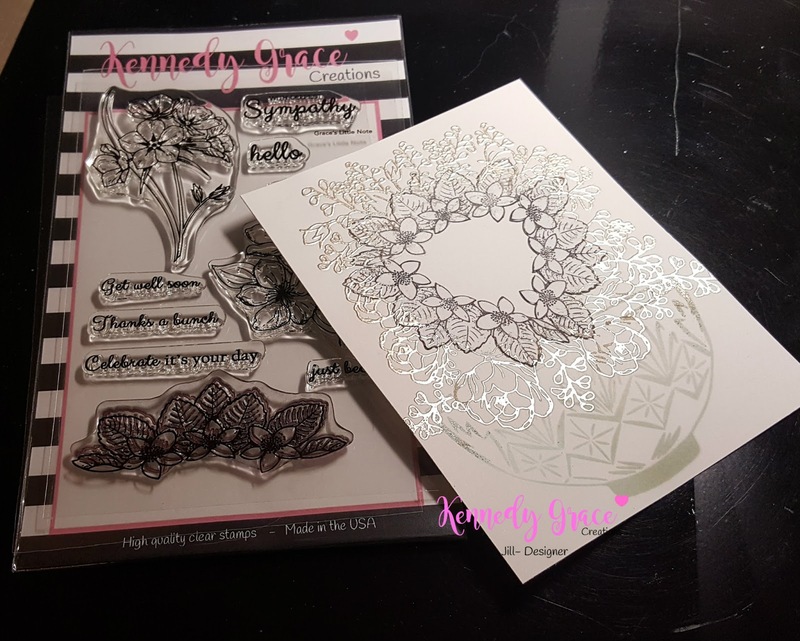 My window sheet from Stampin' Up! has some flowers and vines on it, just perfect for my card as well! As I was also making this birthday card for a friend, she has dogs and a new puppy, so I wanted a cute dog on my card as well. I used a C.C. Designs Puppy Power image that I first die-cut out with the matching dies, but decided to fussy cut the white outline away since my girl figure didn't have any white around her. That made all the difference. 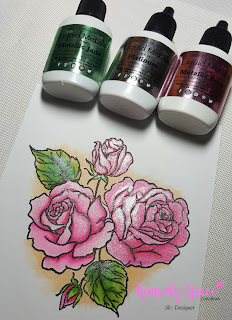 The stamped images were all colored with Copic markers. The frames on this card are from 2 different sets. 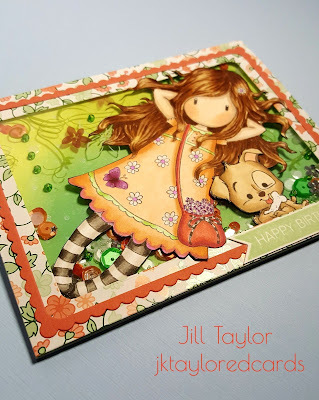 The larger one from Mama Elephant and the scalloped one from Simon Says Stamp. The single frame looked too plain, so I added the orange contrasting color with the second frame to balance out the colors in the card and create better visual interest. The Happy Birthday Banner is from Brutus Monroe's Botanical Banners set. I fussy cut that out. After adhering all the top layers together I grabbed my Scotch 3M Foam Adhesive tape and created zones on the back of the card so that the shaker pieces wouldn't congregate in one area (see photo). Once this was done, I added my shaker elements to all the zones (mental note, use your Anti-static Powder Tool along the sides of your adhesive strips so that the shaker elements don't end up sticking to them). I forgot, and it was an annoyance but didn't cost me too much time. With the front panel already flipped over, I adhered my Distress Oxide panel to a standard A2 side-folding card base of NSW 110# cardstock. I then very carefully adhered that to the backside of my front panel. Some finishing touches was using some clear Wink of Stella on the flowers on the girl's dress, the flowers in her purse, and the butterfly on her dress. 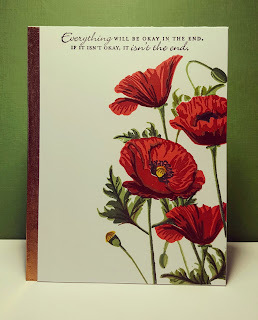 I was really happy with how this card came out. A bit different in style for me, but I really enjoyed making this card! 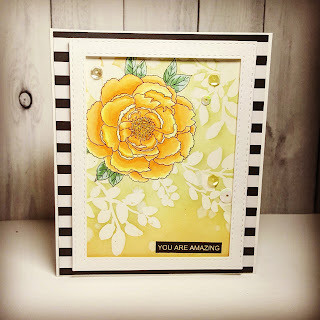 I hope you are inspired to try a shaker card, try out some Distress Oxides and/or Copic markers, or some of the other products I used from The 7 Kids Crafting Supply Store. There is a products list at the end of this blog post for your convenience. The majority of the products used were from the store. 7 Kids Customers Create! page, visit Instagram @7kidscraftingsupplystore or go to the store at http://7kidscraftstore.com. If you'd like to see more of my work, visit me on Facebook or for the largest collection of my work, please visit my page on Instagram. 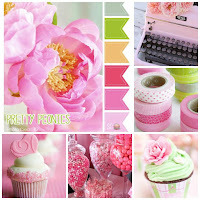 Thank you for taking the time to visit my blog, I wish you blessings and lots of crafting time!! Santoro Gorjuss stamp - Spring at last (full size), C.C. Designs Puppy Power stamp/die, Brutus/Monroe Botanical Banners stamp, Mama Elephant Hug it Out die, Copic Markers, Ranger Distress Oxide Ink (Twisted Citron, Cracked Pistachio and Lucky Clover), Finnabair Art Ingredients- Mica Powder in Silver for DIY shimmer spray, Nuvo Glue Pen, and the MISTI stamping tool. Flower Fantasy Painted Window Sheets from Stampin' Up!, Designer Series Patterned Paper and colored cardstock from Stampin' Up!, Pistachio Pudding Classic Dye Ink from Stampin' Up!, Scalloped Frames die from Simon Says Stamp, Neenah Solar White cardstock in both 80# for coloring, and 110# for cardbase, Shaker elements from Pretty Pink Posh, Kennedy Grace Creations, and others(? 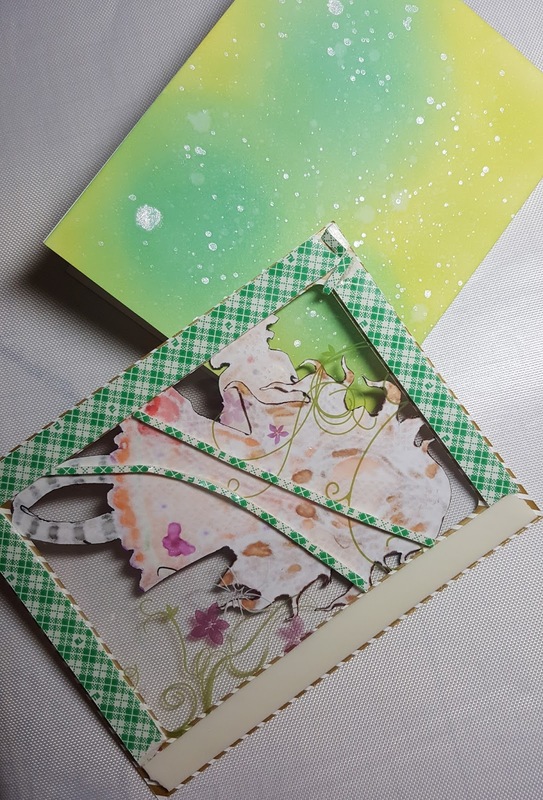 ), Scotch 3M Adhesive Foam tape, Tombow Dot Adhesive Stamp Runner, and Wink of Stella in clear, and the Sizzix Big Shot. Hi! 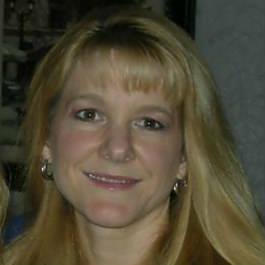 My name is Jill Taylor. 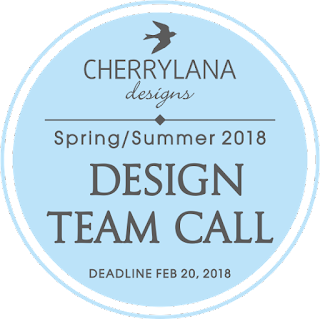 I am very interested in applying for Cherrylana's Design Team. It may be too late, as I just saw the posting for the first time about 20 minutes ago (Feb. 20, 2018 at 8:45pm, PMT). That's in Montana, USA. So this application may be a few hours late. I'm not sure, but thought I'd go for it anyway! To achieve your dreams, you need to take a chance, stretch yourself. I have been crafting for about 11 years now. 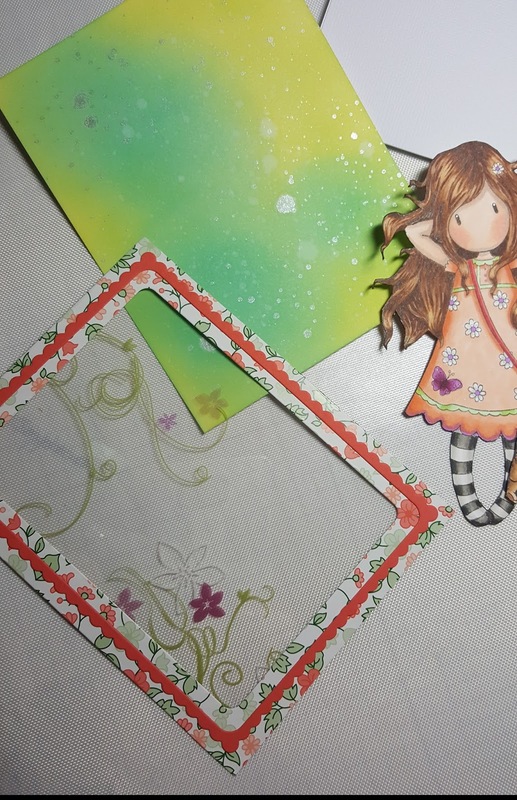 Started with scrapbooking, then discovered I really preferred card-making. 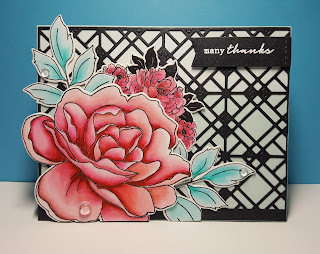 I was a Stampin' Up! 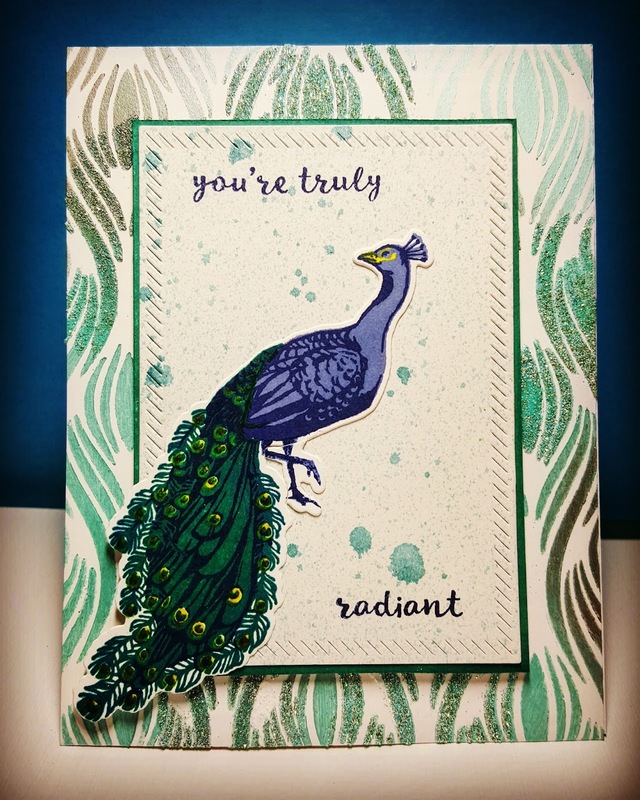 demonstrator for 4 years, then moved to Montana and chose to expand my crafting world by using other products and tools, taking on-line classes on card-making, Copic coloring and water-coloring. I'd been posting on Instagram for some time, but decided to start my own blog as I was entering various challenges (won a couple of them), as well as received some honorable mentions. 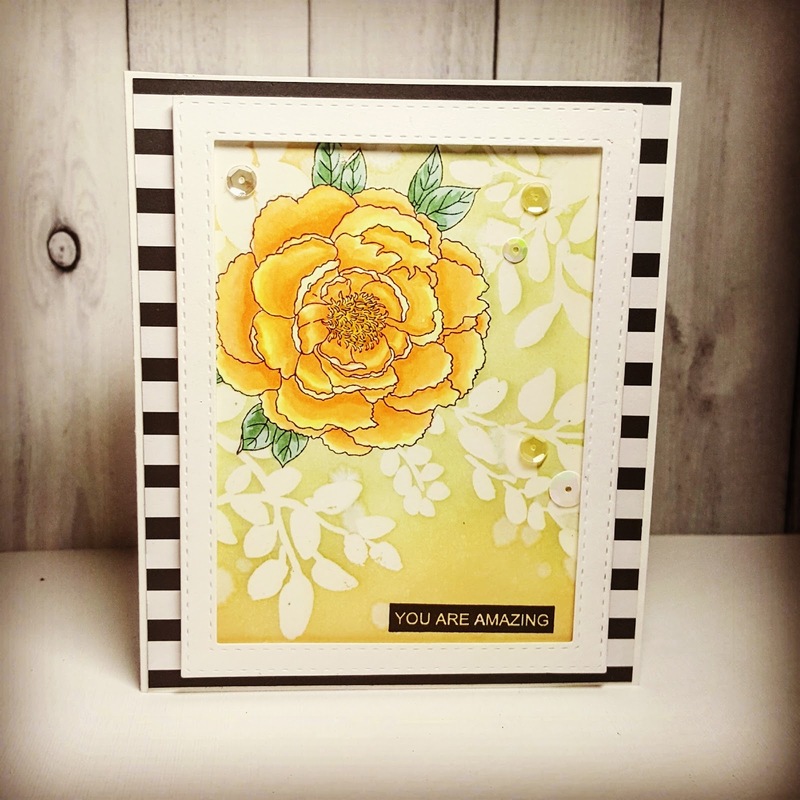 I was a guest designer for The Ton in August of 2017 after winning one of their monthly challenges. I was featured on Trending with the Ton a few times as well. 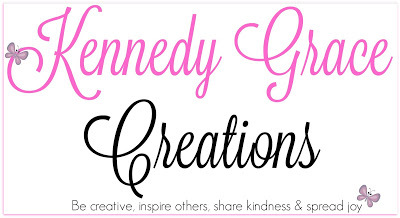 More recently I've been on the Design Team for Kennedy Grace Creations since last September and I have been invited to be a guest designer several times for The 7 Kids Craft Supply Store. They post on Facebook as 7 Kids Customers Create! I see myself as a colorist primarily. 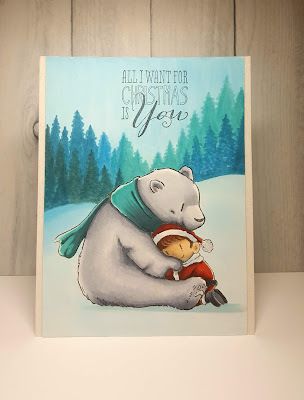 I love Copics, Distress Inks and Oxides, and water-colors. My style does vary a bit as I like to experiment. I do love florals, fairies and critters as far as stamps go. I love the creative process, and as I have learned from others, I feel it is time to share back some of what I have learned. I feel being on a Design Team is a great way to do that. I also like to work on a team and collaborate, share ideas, etc. 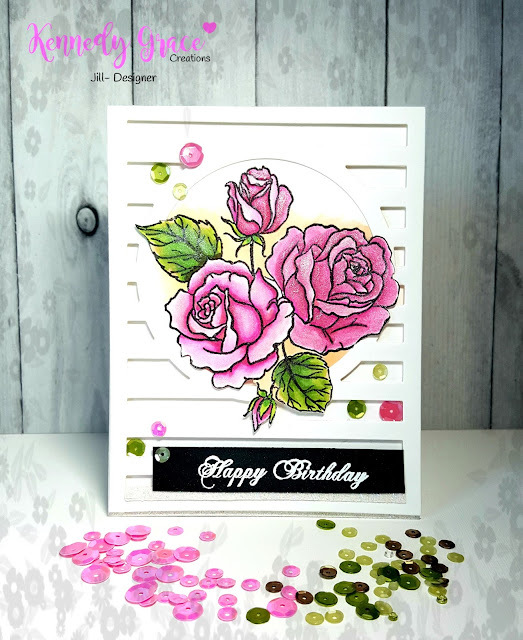 I follow Cherrylana Designs and love your stamp designs. It would be a privilege to be on your team, promoting your quality products. 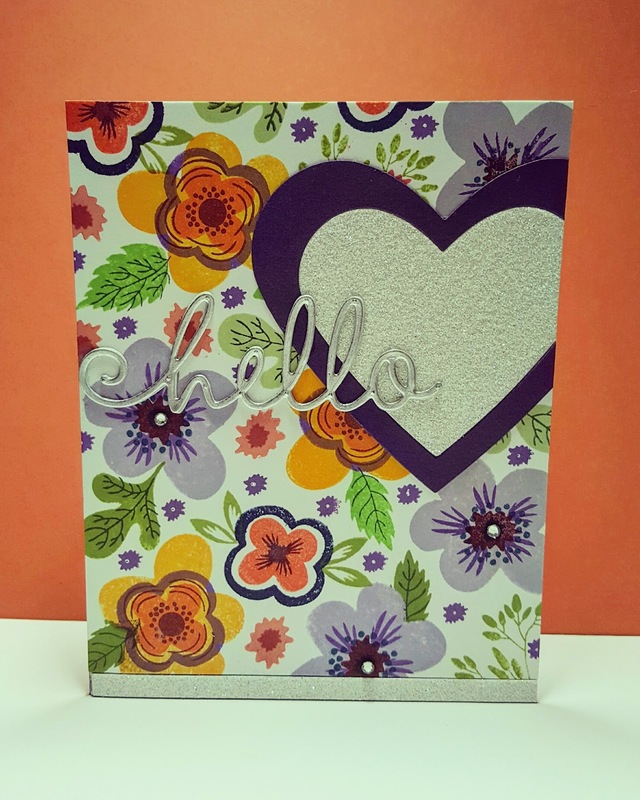 I hope these cards give you a glimpse of my style and perhaps you may find me a good fit for your team. Thank you for your consideration. Hello again and thank you for visiting my blog. 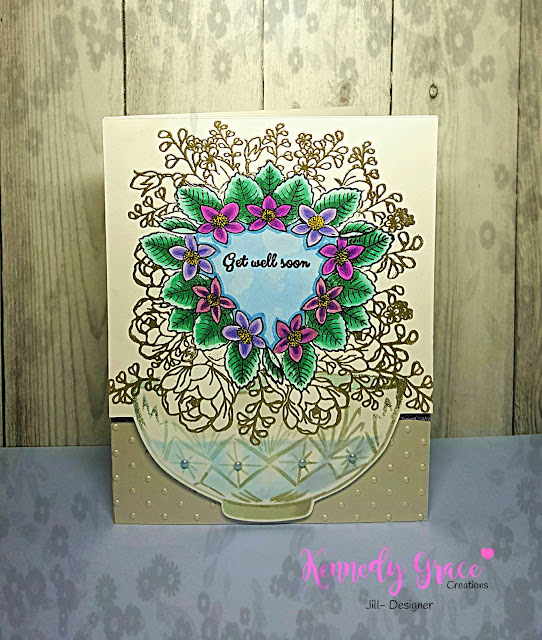 Today I have an elegant Get Well card to share featuring the stamp set Grace's Little Note from Kennedy Grace Creations. Although I used another stamp set on this card, I highlighted the Kennedy Grace Creations stamp by coloring it in with bright, vivid Copic markers. 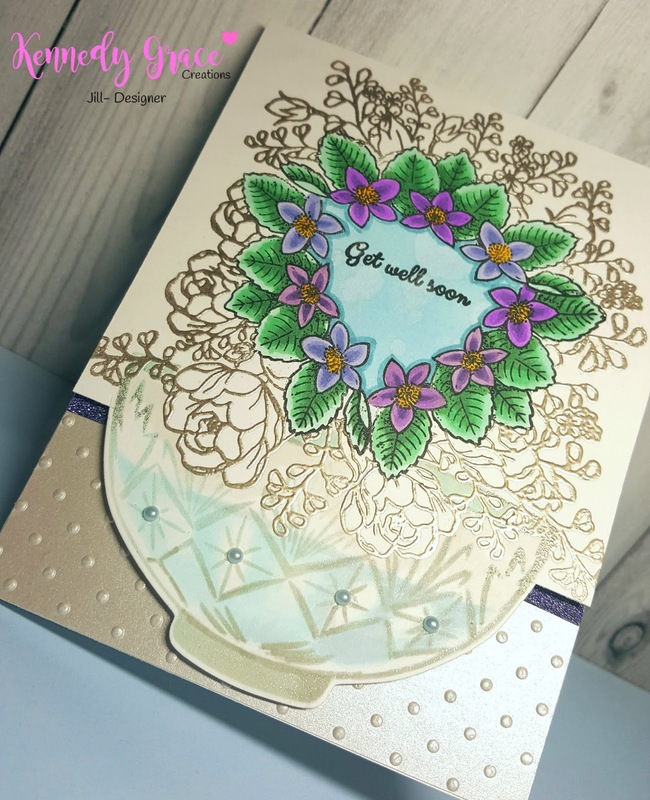 I left the other stamping in neutral tones or very pale blue to keep the focus on our flowers. I used a lot of masking on this card, heat- embossing with Ranger's Liquid Platinum embossing powder of the background floral image from The Ton's stamp, Peony Bouquet and then for the crystal bowl from the same stamp set, I used MFT's Hybrid ink in both Grout Grey and Blu Raspberry so that I could add additional Copic coloring for shading and the water in the bowl. I hope you liked my card. 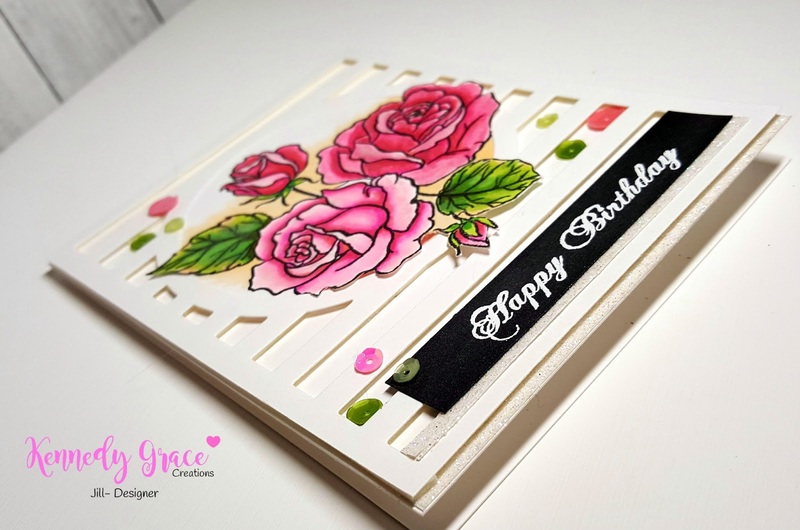 I think it shows just how versatile those little flowers from Grace's Little Note are. If you'd like to see more of my creations, please visit my Instagram account jktaylor911 which has the largest collection of my work, or Jill Taylor on Facebook.